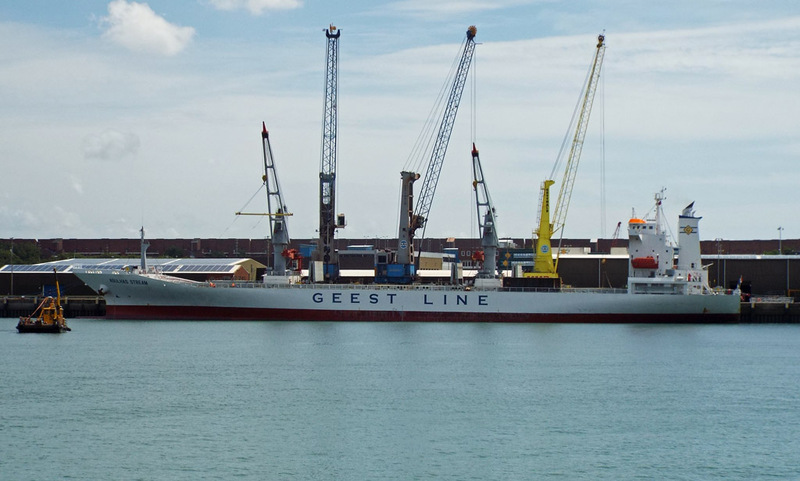 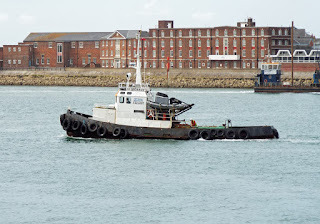 Stemat Marine Services' crane barge Dina M in Portsmouth Harbour 28 June 2016. 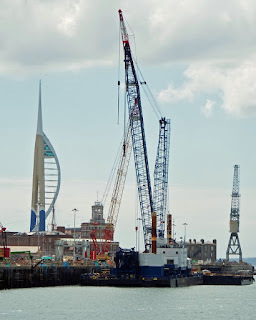 Major alterations are taking place to ensure that the berths are capable of handling Queen Elizabeth. 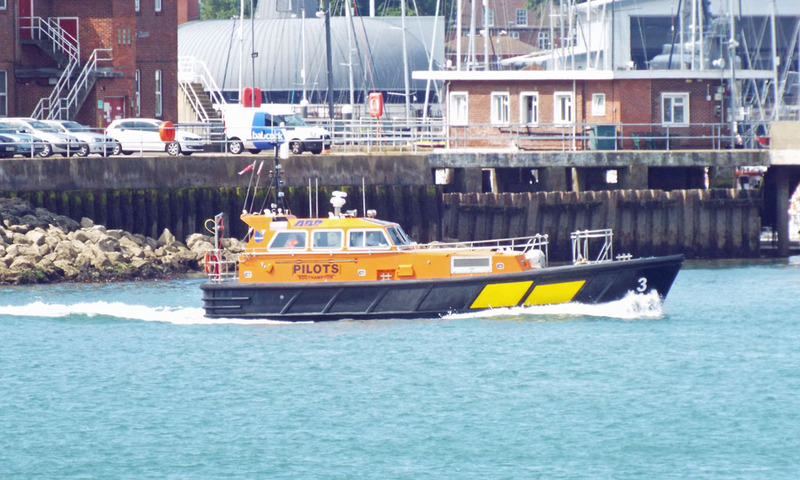 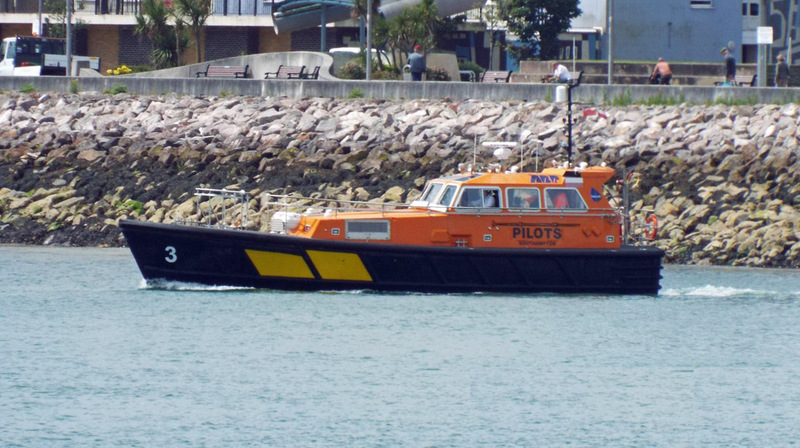 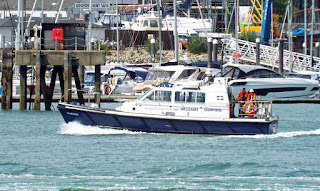 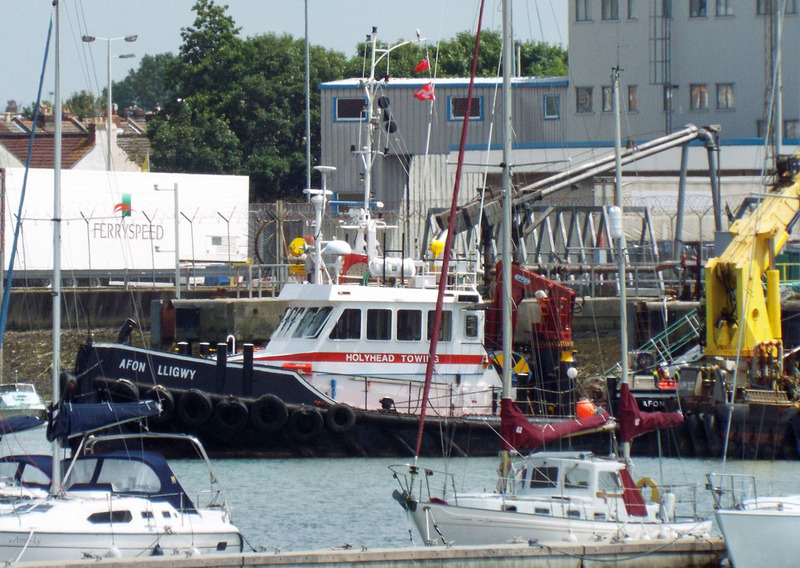 Serco's crew transfer vessel SD Netley anxious to get back to base 28 June 2016. 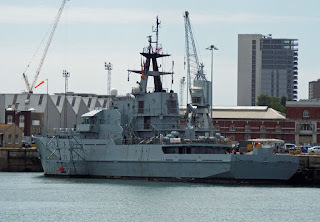 River class patrol vessel HMS Tyne (P281) in Portsmouth Harbour 28 June 2016. 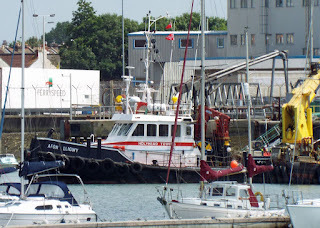 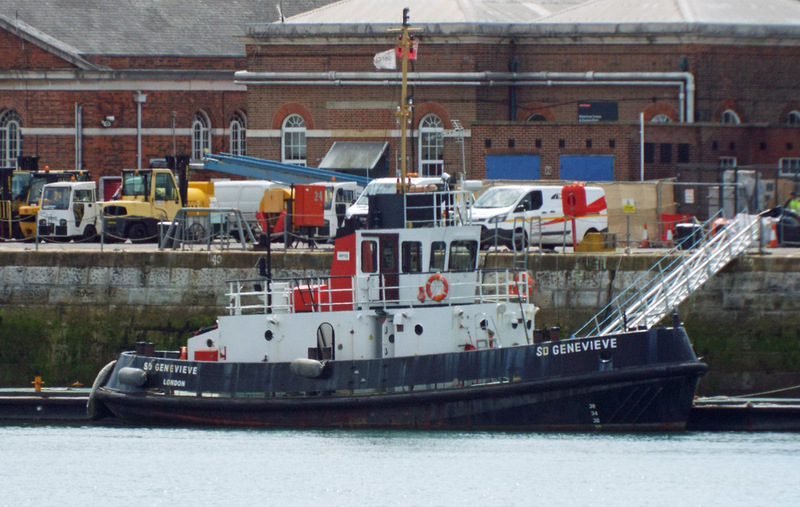 Serco tug SD Genevieve in Portsmouth Harbour 28 June 2016. 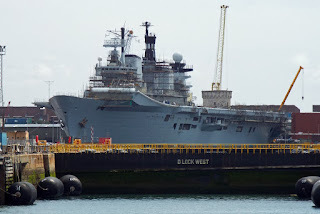 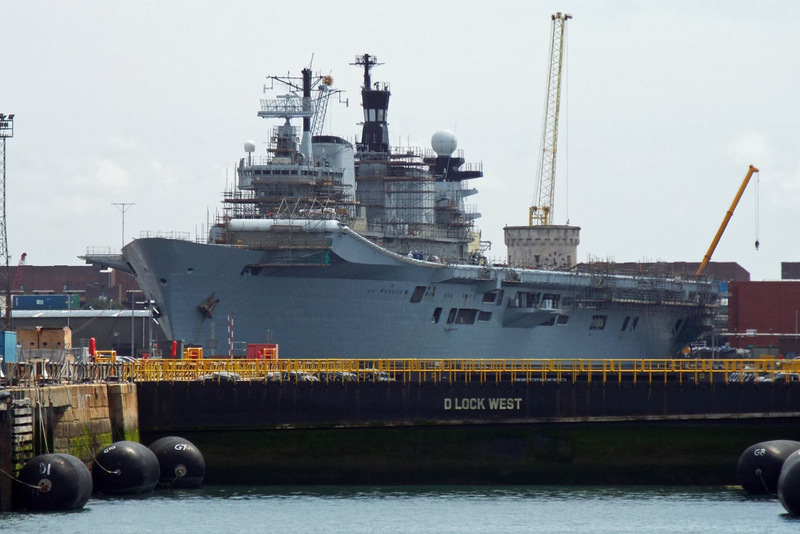 The stripping out of Illustrious continues in Portsmouth Harbour 28 June 2016. 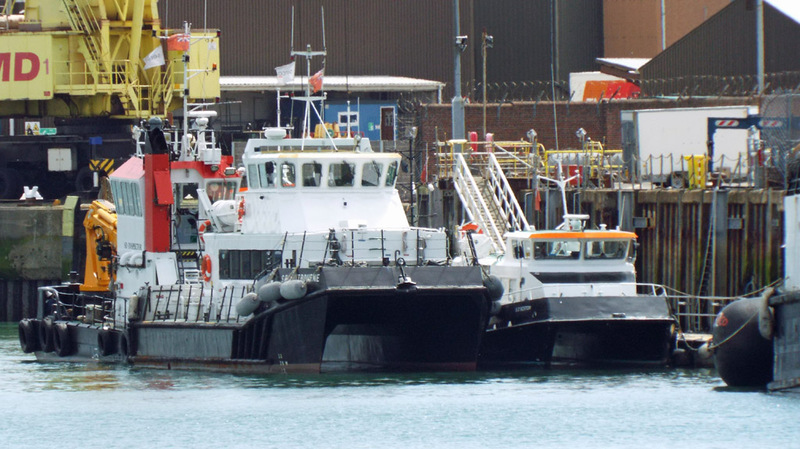 Two T45 class can be seen in the inner lagoon. 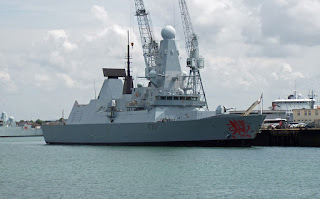 HMS Dragon (D35) in Portsmouth Harbour 28 June 2016. 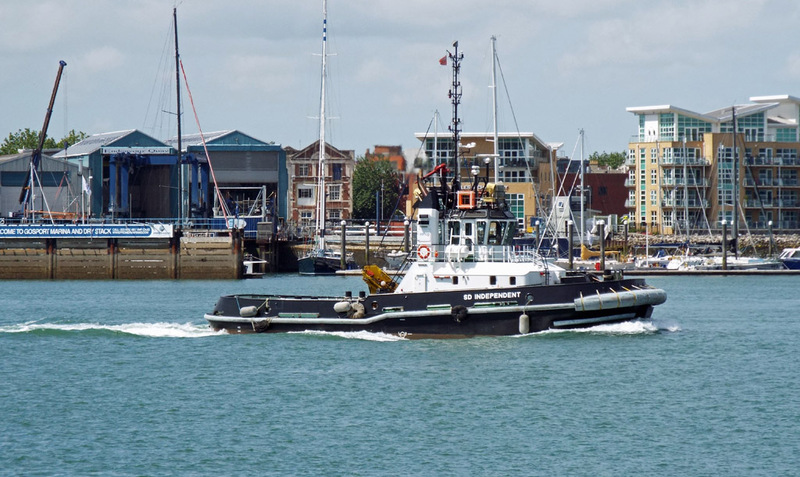 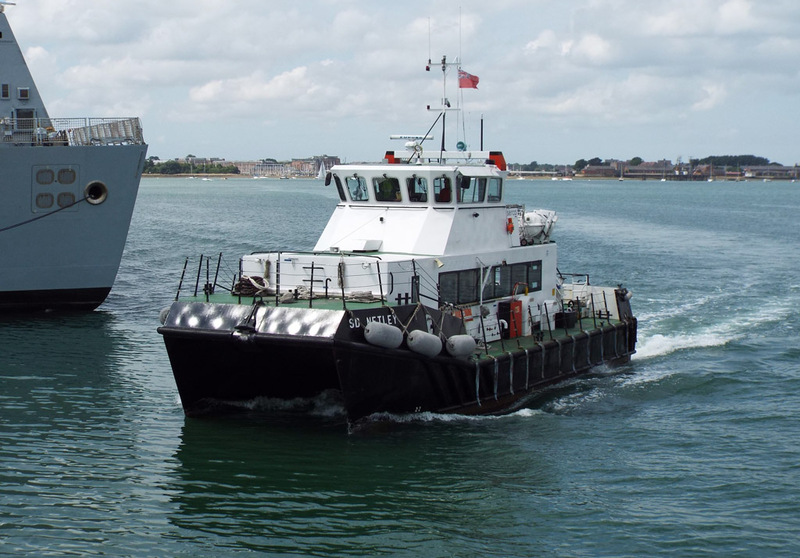 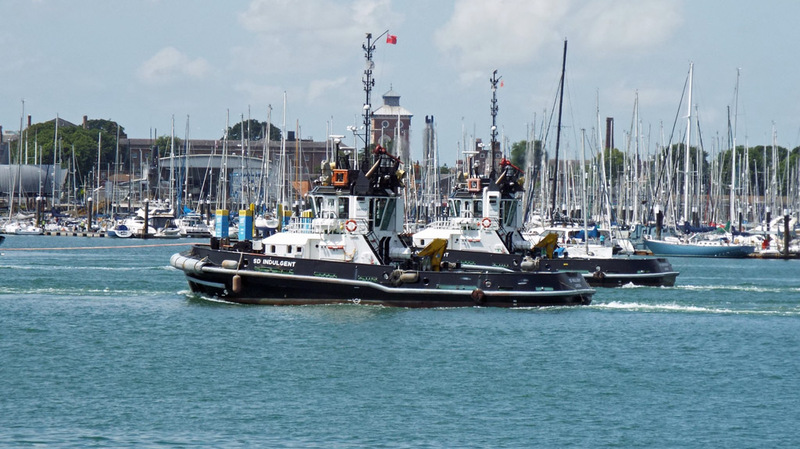 Serco's tugs SD Independent and SD Powerful in Portsmouth Harbour 28 June 2016. 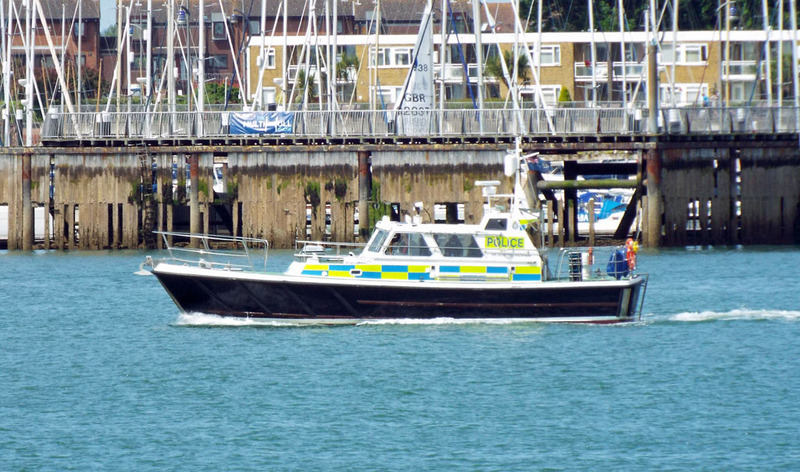 MOD police launch Millenium in Gosport Marina 28 June 2016. 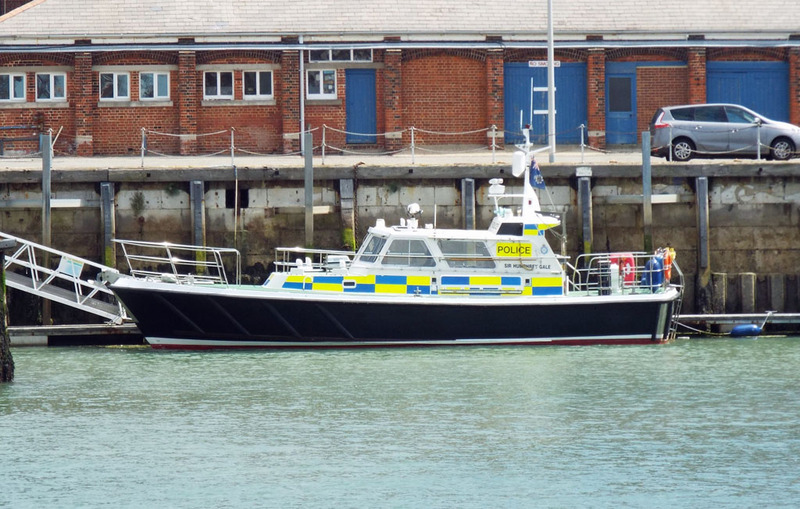 MOD police launch Sword in Portsmouth Harbour 28 June 2016. 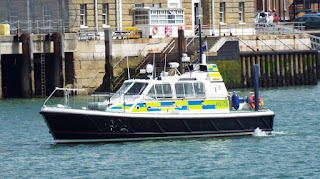 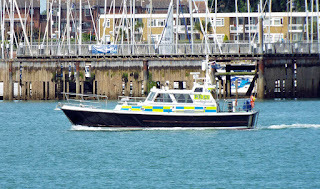 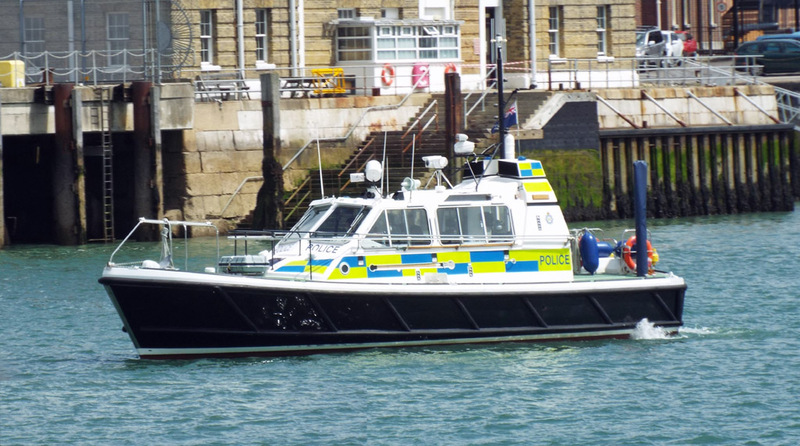 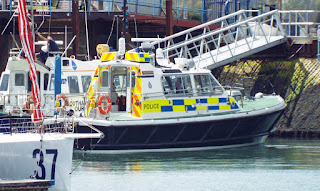 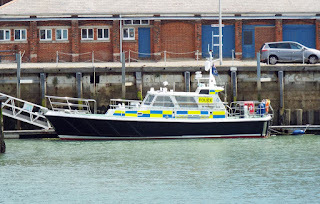 MOD police launch Sir Humphrey Gale in Portsmouth Harbour 28 June 2016. 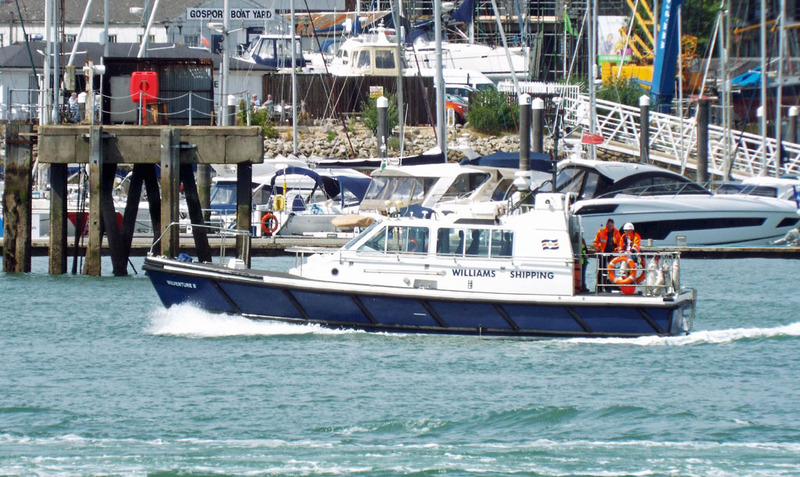 Williams Shipping's Wilventure II in Portsmouth Harbour 28 June 2016. Serco tug SD Indulgent (SD Independent outside) forms the backstop for HMS Ocean 28 June 2016. 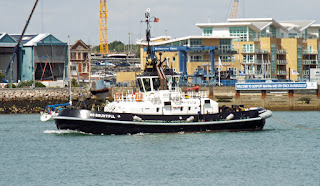 Admiralty Pilot Cutter SD Solent Racer follows HMS Ocean 28 June 2016. 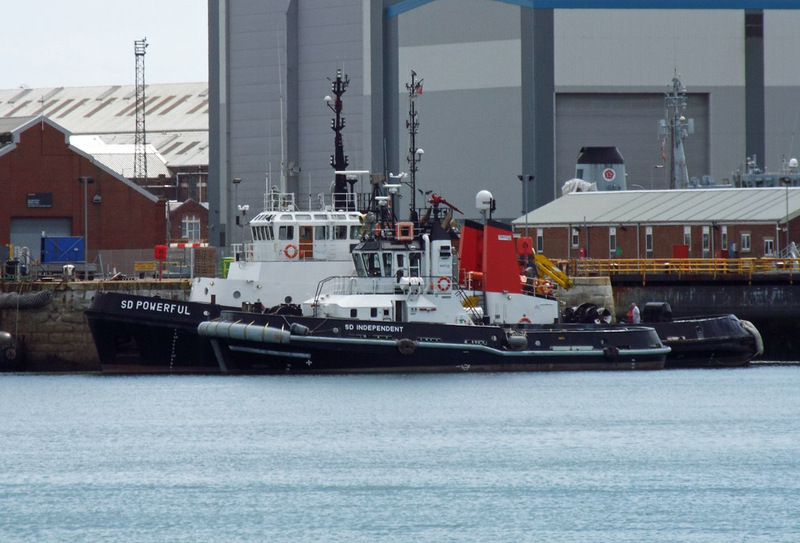 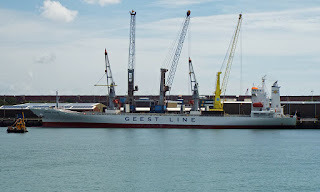 Serco's Damen tug SD Bountiful on operations 28 June 2016. 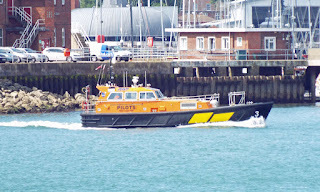 Portsmouth Pilot Cutter No. 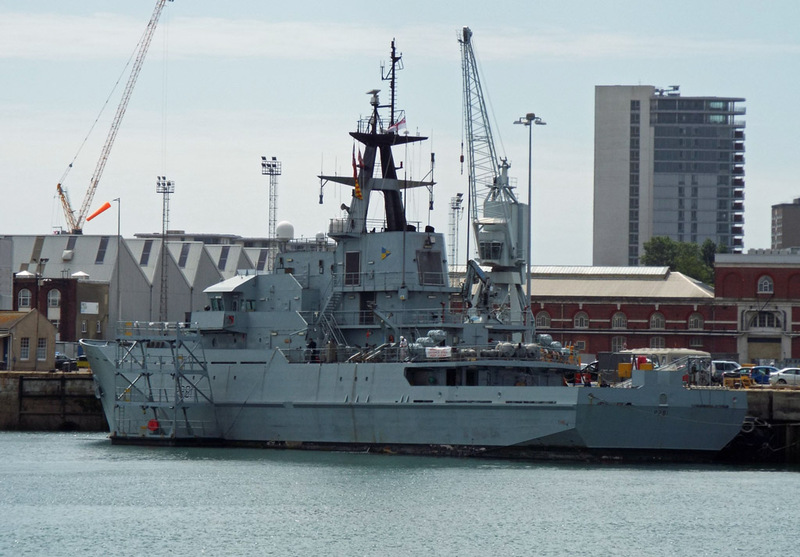 3 Hamstead in Portsmouth Harbour 28 June 2016. 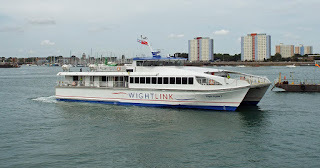 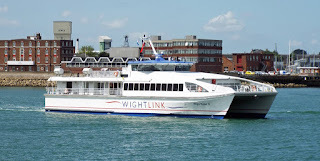 Wightlink's Wight Ryder II arrives at Portsmouth 28 June 2016. Is this supposed to happen? 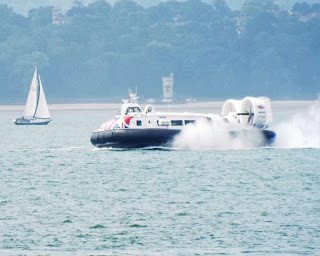 Hovertravel's Island Express on service 28 June 2016. 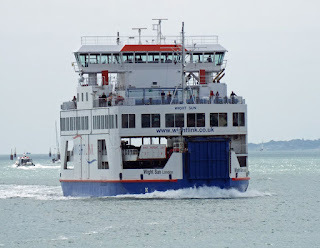 Isle of Wight ferry Wight Ryder II inbound 28 June 2016. 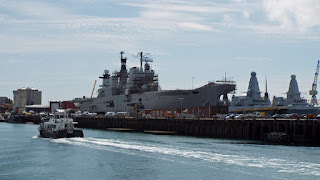 HMS Ocean (L12) outbound "on manoeuvres" after the Armed Forces weekend in Portsmouth 28 June 2016. 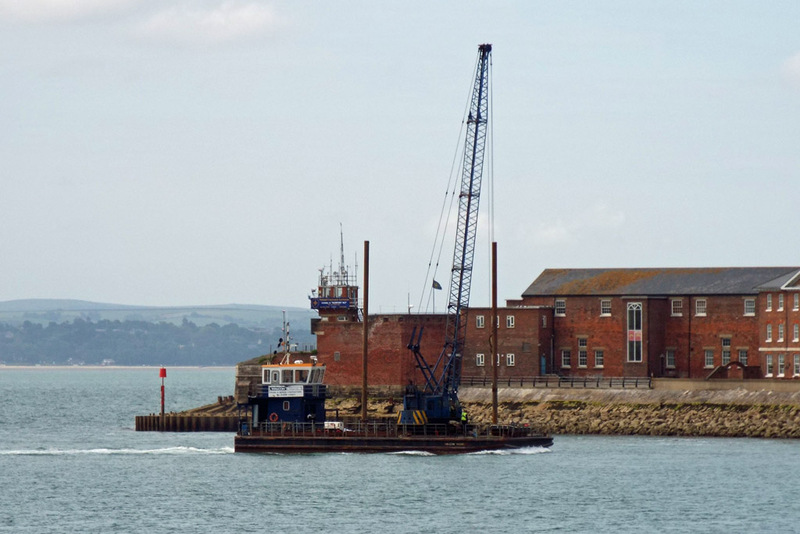 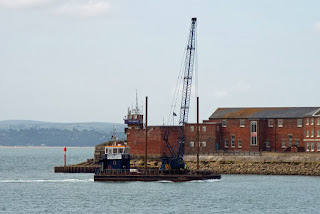 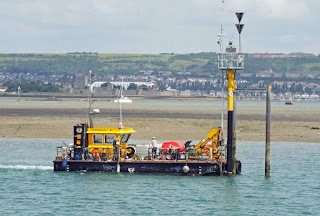 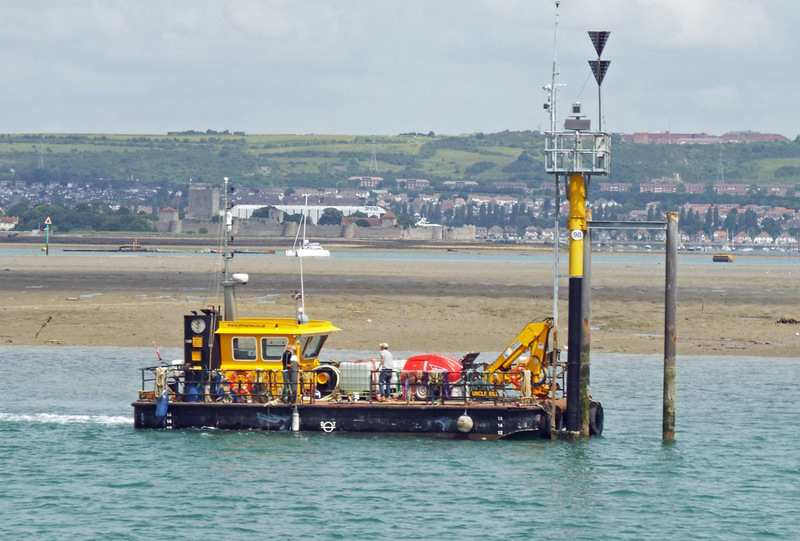 Walcon Marine's self-propelled piling barge Walcon WIzard inbound to carry out repairs to the Haslar Marina breakwater 28 June 2016. LNTM No 33/16 refers. 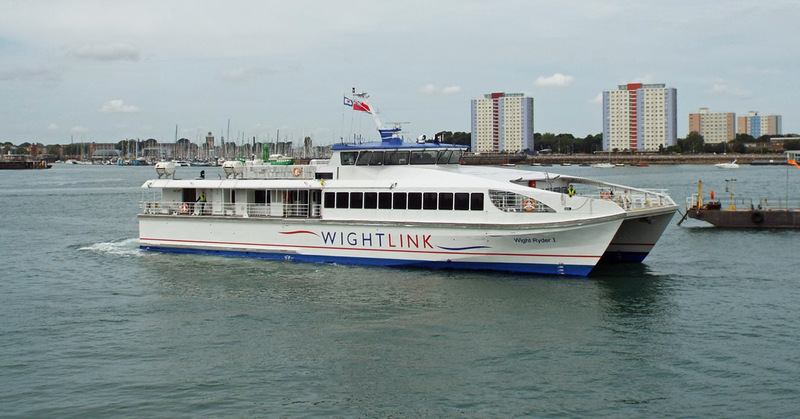 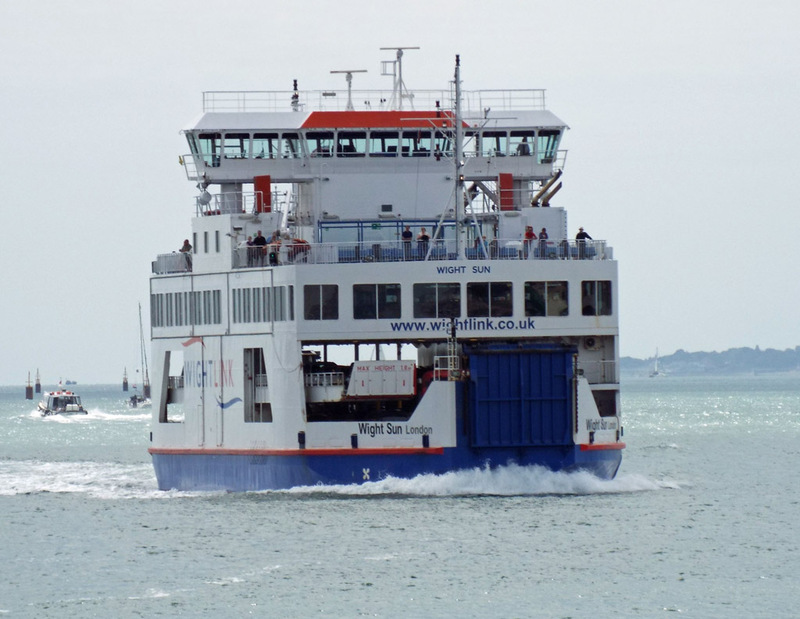 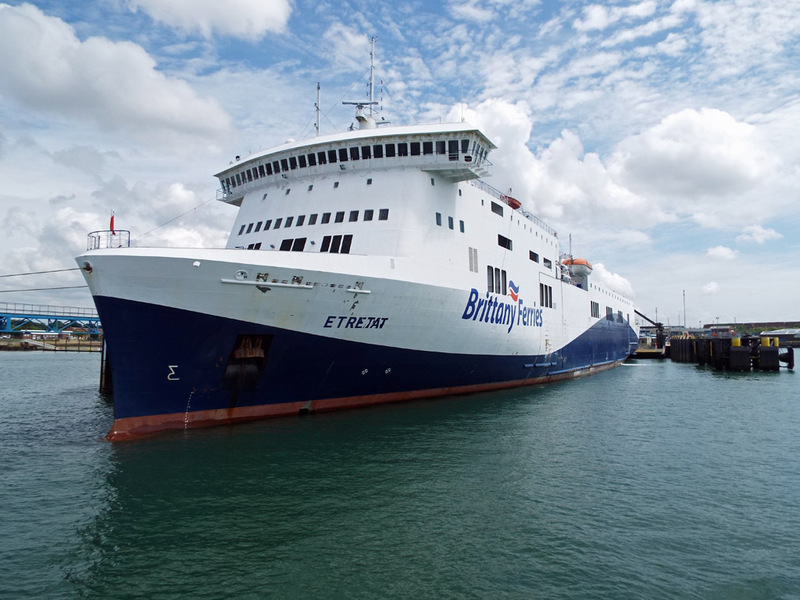 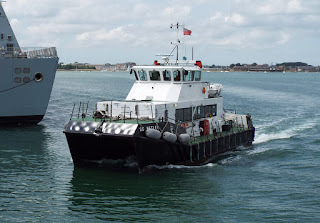 Isle of Wight Fastcat ferry Wight Ryder I comes off the pontoon to begin service 28 June 2016. 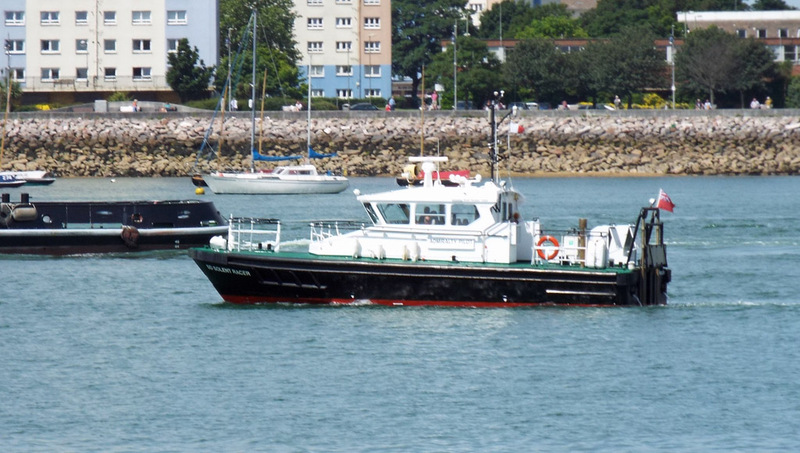 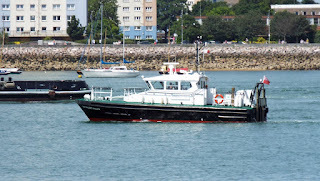 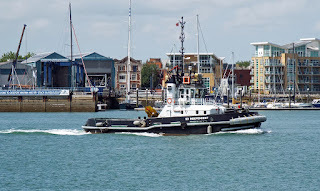 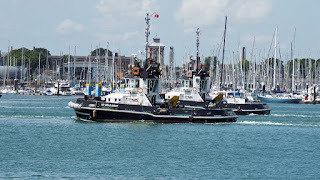 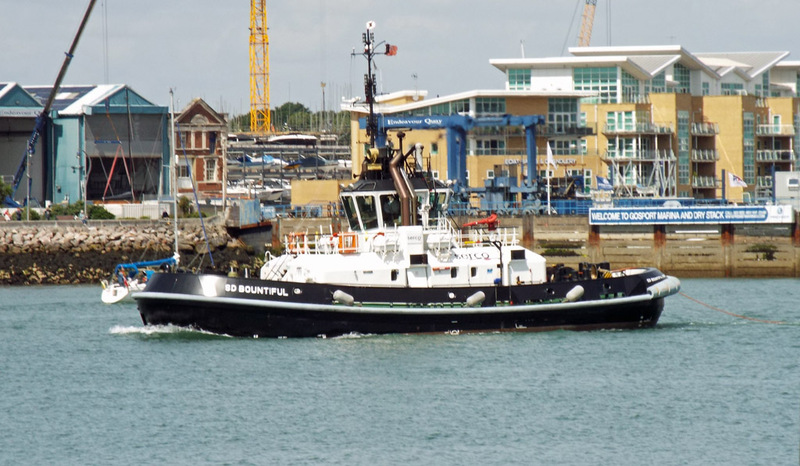 BP Norse Marine's 1947 vintage TID class tug Storebror in Portsmouth Harbour 28 June 2016.